Aurora Expeditions has introduced the activity of Polar Snorkelling to its small-ship cruises to Spitsbergen and Greenland. The company was first to launch Polar Snorkelling in Antarctica in 2013, and has now extended this activity to the European Arctic. The optional activity will allow travellers to enjoy the natural beauty available on land as well as underwater. Designed for the more adventurous traveller, Polar Snorkelling is an activity that offers the chance to explore the life in the icy Arctic waters. From sea anemones and sea urchins to nudibranchs, crabs and polar cod, snorkellers will get to see first-hand the surprisingly colourful marine life of the Arctic. As well as seeing the wildlife, snorkellers will also be able to get up close to the ice, swimming at the edge of the Arctic pack ice, as well as enjoy the fascinating ice formations that exist below the surface. Participants don’t need any scuba diving qualifications to join this excursion. It is available to brave souls with basic snorkelling experience. The activity is operated under a set of strict safety guidelines by a team of experienced dive guides with over 20 years’ polar diving experience. 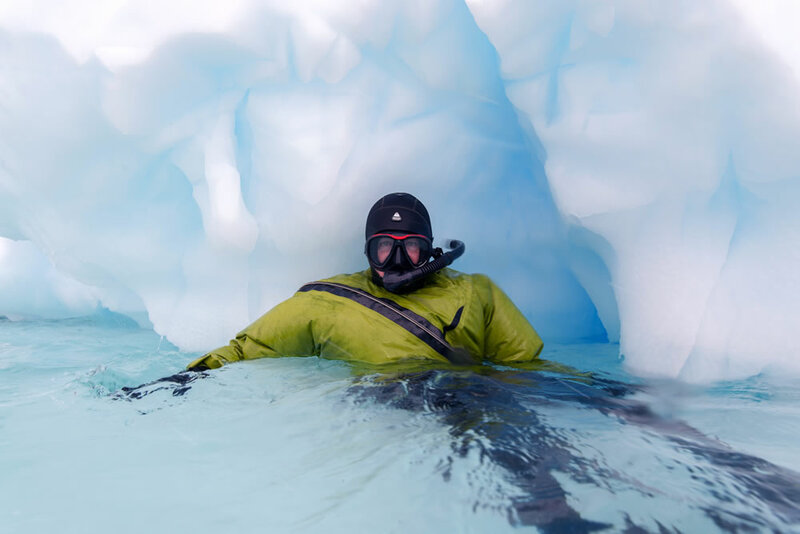 Polar Snorkelling is offered as part of Aurora Expeditions’ Polar Dive program, operated by long-term partner and cold-water diving and snorkelling specialists, Waterproof Expeditions. Waterproof Expeditions provides all polar snorkel equipment on-board, including a state-of-the-art Waterproof D9 Snorkel Dry Suit, hood, gloves, boots and a full snorkel set including fins, mask and snorkel. Polar Snorkelling and Polar Scuba Diving activities are both priced at US$975 (approximately £692) per person. An 11-day ‘Spitsbergen Odyssey‘ itinerary aboard the Polar Pioneer starts from AU$6,380 (approximately £3,277) per person based on two sharing a cabin on the 18 July 2016 departure from Longyearbyen, Spitsbergen. Other departure dates are 28 July 2016, 16 July 2017, and 26 July 2017.